A pioneer choreographer in modern American dance, Anna Sokolow has led a bewildering, active international life. 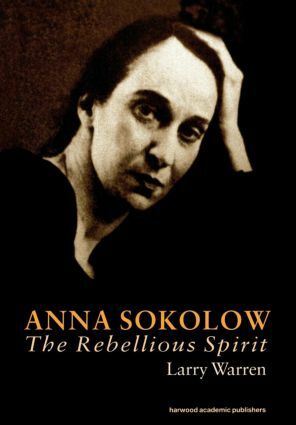 Her meticulous biographer Larry Warren once looked up Anna Sokolow in a few reference books and found that she was born in three different years and that her parents were from Poland except when they were in Russia, and found many other inaccuracies. Drawing on material from nearly 100 interviews, Larry Warren has created a fascinating account and assessment of the life and work of Anna Sokolow, whose nomadic career was divided between New York, Mexico, and Israel. Setting her work on more than 70 dance companies, Anna Sokolow not only pioneered the development of a personal approach to movement, which has become part of the language of contemporary dance, but also created such masterpieces as Rooms, dealing with loneliness and alienation, and Dreams, which concerns the inner torment of victims of the Nazi Holocaust.